Gujarat is a state in the west of India, said to be governed by gods and lions! The state is home to an astounding 65 million residents and is home to many of India’s most-beloved temples and religious places of interest. Top tourist attractions include Somnath Temple, Rann of Kutch and Rani ki Van. Prepare for a journey of a lifetime with cheap flights to Gujarat for a limited period of time! Gujarat is home to Sardar Vallabhbhai Patel International Airport (AMD), in the city of Ahmedabad. Sardar Vallabhbhai Patel International Airport is located on a 20-minute drive from the city centre. AMD serves a multitude of airlines, including Etihad Airways and Jet Airways. There are no direct flights to Gujarat but popular connecting flights are available from Johannesburg. This beautiful state of India is where you will find beautiful and holy temples, adorned to the Lord Krishna and other holy gods. Make sure to visit Somnath Temple and BAPS Akshardham. The state of Gujarat is full of rare and unique animals. 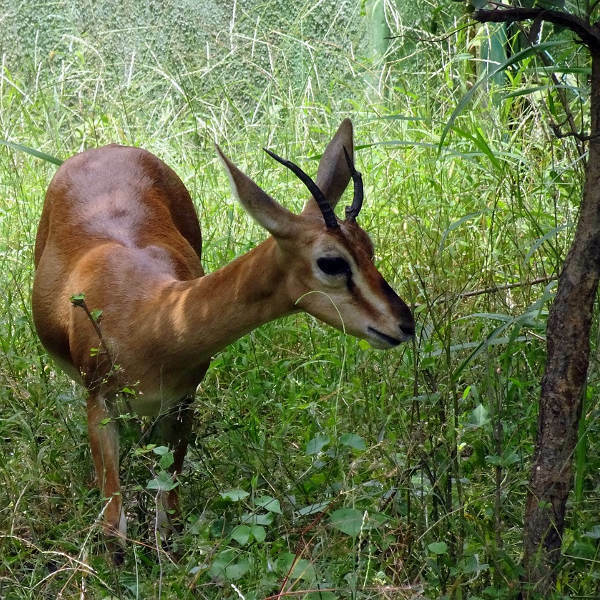 Spend your days spotting beautiful creatures such as Asiatic Lions, Indian gazelle and blackbucks, amongst others. 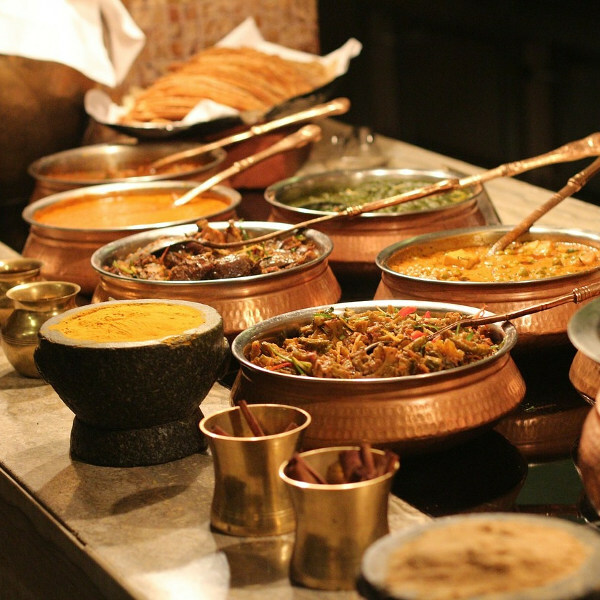 The state of Gujarat has a very unique and thrilling taste palate of its own! Order a tali for an authentic and varied taste of the region and enjoy the dish with friends – from one plate! Gujarat is known for its blazing hot summers and warm, pleasant winters. During the summer, June to July, the days can reach temperatures of around 40 degrees Celsius. It can also get very humid. The best time to visit would be during the winter months which fall between November and February. During this time, visitors to the area can expect warm days with temperatures that range around 25 degrees Celsius. 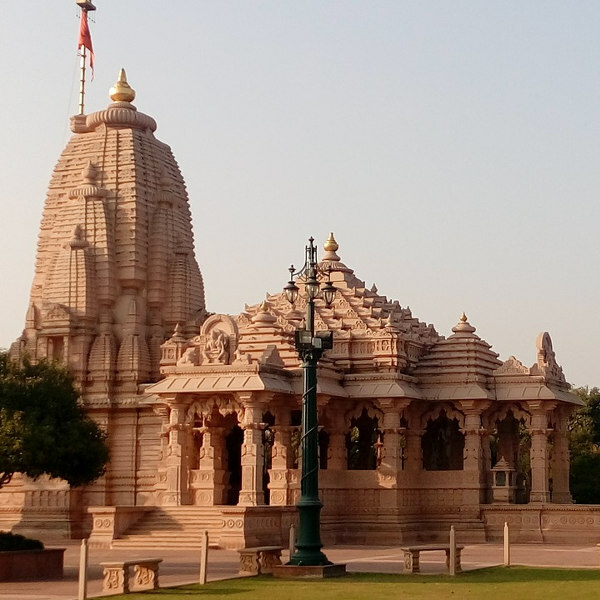 Gujarat is a wealthy state in India, with tons of treasures and historical significance that bring hordes of tourists to the city from around the world. The white marble temples in Gujarat are exquisite and dynamic which brings tourists to have a glimpse of these religious grounds. The cultural tourism in the city is very rich with a lot of folk art that has been preserved in the form of song and dance. Local artisans are plentiful across the state, with beautifully crafted handicrafts that you can buy. These include the kutchhi work, Bandhani, patolas of Patan, embroidery, woodcraft, pottery, Namda, Rogan paintings and lots more. The finest textiles in India can also be found here! Ahmedabad is the hub of Gujarat tourism; this is where you would find the Mahatma Gandhi’s ashram. A trip to this part of Gujarat offers you an experience of a lifetime. There is also the Laxmi Vilas Palace which is four times the size of the famous Buckingham Palace in London. Compare several airlines and book your cheap flights to Gujarat with Travelstart! South African passport holders require a visa to visit India. You will need to ensure your passport has a validity of at least 6 months and 2 empty pages for entry stamps. An Indian E-visa is valid for 30 days from your date of entry into the country. For more information, You can apply through Indian Visa Online or at a VFS Global Application Centre, located in Johannesburg, Durban and Cape Town. For travel to India, please ensure that all of your routine vaccinations are up to date. It is recommended to get additional shots for hepatitis A & B, as well as for typhoid, cholera and malaria. Gujarat is considered a safe region of India for travel. Please be aware that the usual vigilance still applies. Do not flash any of your valuable belongings in public and store important paperwork in your hotel safe. Women are encouraged to travel in groups after dark.